"The country wants to send you very clear messages that you don't belong," said one researcher. In a recent interview, Michelle Obama helped illuminate an element of black American life rarely discussed in the absence of massive tragedy and more often dismissed or downplayed: the constant threat of violence based on hatred. Speaking with Oprah Winfrey, Obama said she cannot and will not ever forgive President Donald Trump for stoking a racist conspiracy theory about her husband’s birthplace, because it could easily have inspired the wrong person to take violent action. She and her family have had to live with the risk and manage the toll. What Obama described is at once a distinct experience — that of the only black First Family — and a common part of black American life. Violence, property crimes, threats and other offenses inspired by racial animus amounted to the most frequent type of hate crime reported in the FBI’s most recent tally of bias crimes. In fact, black Americans have been the most frequent victims of hate crime in every tally of bias incidents generated since the FBI began collecting such data in the early 1990s. “One of the things that is amazing about black experiences in America is that the country wants to at once send you very clear messages that you don’t belong,” said Koritha Mitchell, an associate processor of English at Ohio State University who researches hate crimes and their depiction in literature. “That you should expect and accept some kind of half measure of citizenship and then pretend that the country did not send you that message." Whatever does Mitchell mean? Let us return to the Obamas. As a presidential candidate, Barack Obama received such an intense barrage of threats that his campaign was forced to request Secret Service protection earlier than any other candidate in U.S. history. But, once elected — with the votes of people of color and a minority of white voters — the now laughable notion of a post-racial society proliferated far and wide. In 2015, when the nation’s current surge in hate crime began, Donald Trump announced his run for president. He did so with a speech which, among other things described Mexican immigrants as rapists. One day later, Dylann Roof, a white nationalist, attended a prayer meeting at a historic black church in Charleston, South Carolina. He had spent the preceding months touring plantations and Confederate monuments, and then drafted an online manifesto littered with white nationalist ideas, including a call for a race war. At the church, he and shot and killed nine black people. In the first days after the attack, some elected officials insisted the crime had been motivated by anti-Christian, rather than racist ideas. “It has been the case historically, and certainly since we started to get valid statistical information on hate crimes, that African Americans have been the group most frequently targeted,” said Jack McDevitt, director of the Institute of Race and Justice at Northeastern University. McDevitt worked with the FBI to develop the reporting system for the annual hate crimes tally. The report is itself a compromise in lieu of a federal hate crimes law. (Such a law eventually passed and was signed into law by Barack Obama in 2009.) When McDevitt began that work with the FBI, it wasn’t unusual to encounter police officers and local law enforcement officials who were dubious about the existence of hate crime or the need to investigate and track it in any particular way, he said. In 2017, African Americans comprised 13 percent of the nation’s population and 28 percent of all hate crime victims, according to a report released by the FBI last week. As hate crimes against other groups have surged in the last three years, bias-driven crimes directed at black Americans have declined but continued to outnumber any other form of hate crime. “The hate crimes report is the moment where we as a country have to say, gee, what’s happened in the last couple of years?" Chavis said. "At this moment, there are a lot of things that could explain this but, I don’t think that it is a coincidence that our political rhetoric is so coarse." Brian Levin, director of the University of California, San Bernardino Center for the Study of Hate and Extremism, parses hate crimes data and the social conditions which seem to feed them. Some of the patterns that Levin has spotted in hate crime in the past add some weight to the theory that Trump’s rhetoric and the rise of white nationalist behavior are driving all sorts of hate crimes in the present. For example, the single worst month in anti-black hate crimes came in July 1996, one month before President Bill Clinton signed a welfare-reform bill into law. That summer, conversations about supposed welfare queens, and ostensibly fecund and lazy blacks, were not difficult to encounter. More recently, when Levin worked with a research partner, Jim Nolan, a sociologist with the West Virginia University Research Center on Violence, the men discovered that Nov. 10, 2016 — the day after Trump’s election — marked the apex of the single worst month in hate crime the country had seen in 14 years. In the period between the early 1900s and 1930s, the Klu Klux Klan perfected the art of more subtle but racist critiques of things like “jazz culture,” “foreign influences,” and describing social change as a assault on “traditional” and core “American values,” Levin said. Today, white nationalist groups are making similar arguments in politics, in their own fast-growing social media spaces and in the pages of major news publications, Levin said. But as dire as Levin’s analysis of the present moment may sound, he also sees hints of good news. In 1996, 42 percent of all hate crimes in the United States were directed at African Americans. 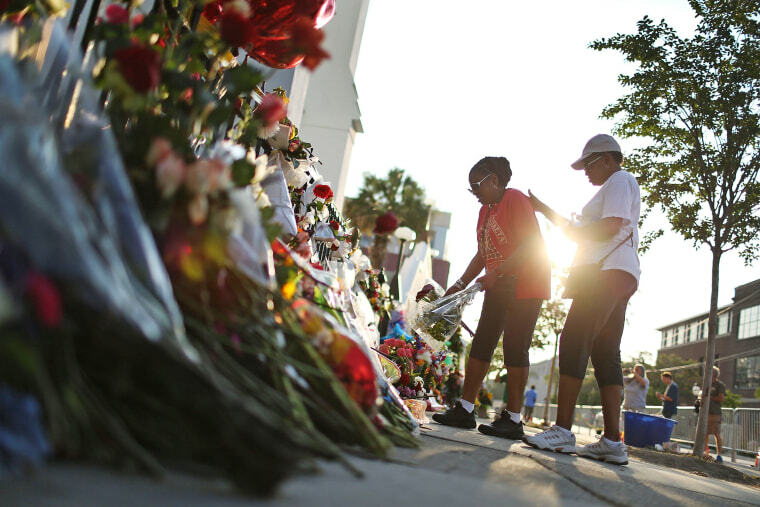 This year, though bias-driven crimes directed at African Americans remain the single largest category of hate crime, that same figure has declined to 28 percent.